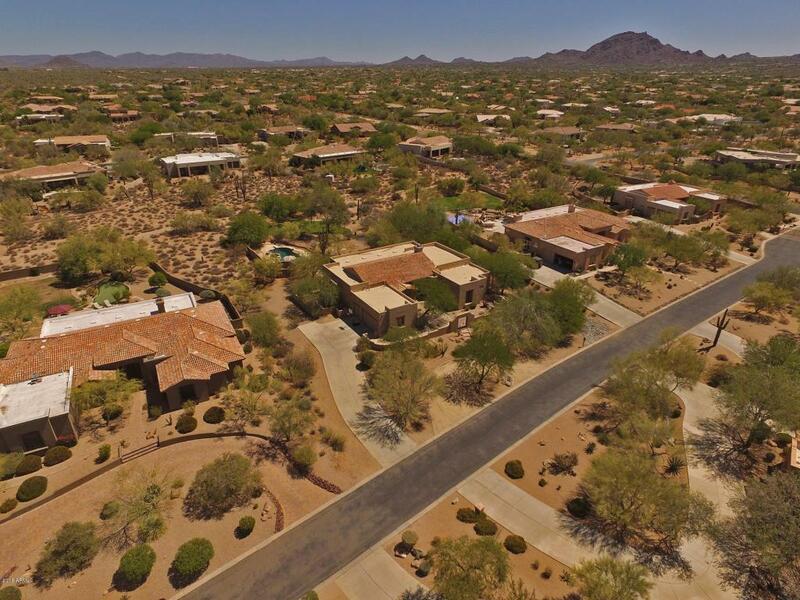 Perfect desert setting in this North Scottsdale location in the private gated community of Tierra Bella. 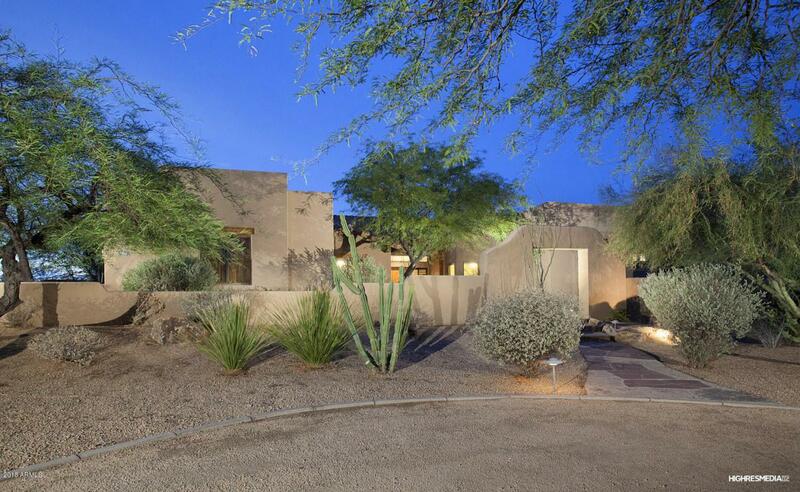 This single level home with split floor plan sits on an acre lot with natural desert surroundings. 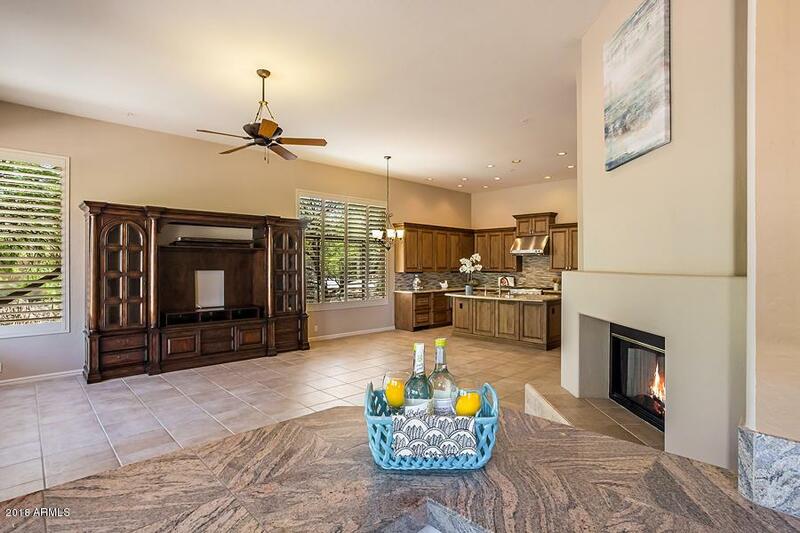 Open floor plan, huge windows, wet bar, expansive covered patio, and sitting area with kiva fireplace all overlooking the beautiful desert background is perfect for hosting parties. Relax and dive into the pool or soak in the spa with soothing water feature. Inside you will find a remodeled gourmet kitchen that boasts GE Monogram SS appliances that include a 6-burner gas cooktop, vent hood, double convection oven, and built-in microwave. 42'' built-in refrigerator, under-counter dual refrigerated drawers, and an extra deep sink with ORB fixtures. 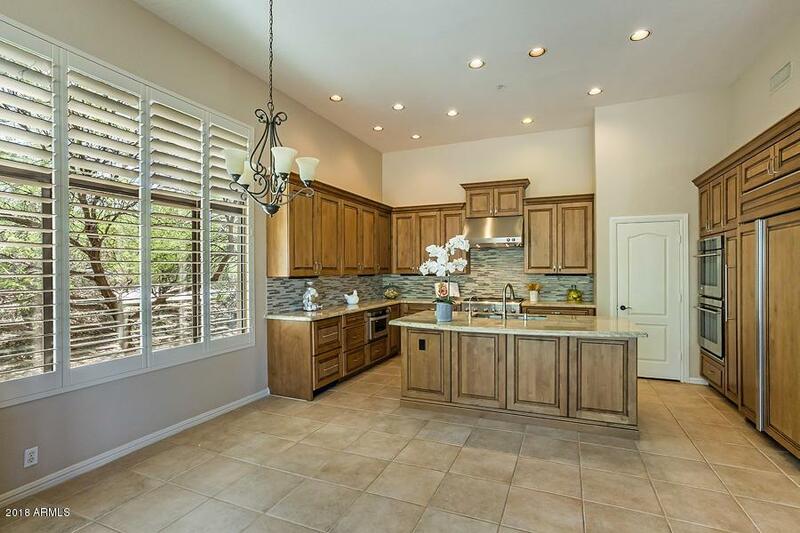 Beautifully crafted wood kitchen cabinets..